Faint and familiar sounds of daily life are ringing in the crisp, clear air of an autumnal season. Mutely colored fallen leaves rustle in the wind. Sobbing and grief-soaked murmurs of loss are difficult to ignore. There is a longing for a place of refuge free from loss, sorrow, and forlornness. Then, a familiar, comforting drone begins. It is lamenting and sonorous as it masks city sounds and the bereft. Someone is playing the bagpipes as if they were being played for each and every broken heart. With each note, sadness seems lightened. The piper's melody slowly fades to a soft, background requiem and the voice of the officiant offers a sense of healing. Sunlight breaks through low scattered clouds. It is no longer a funeral service, but a celebration of a well-lived life. Over the past 1,000 years, the music of bagpipes has carried itself from the Middle East, to Ireland, and then Scotland. Bagpipes accompanied Scottish and Irish immigrants to America where they have become symbolic with healing and beauty in times of strife. Legend claims that bagpipes' musical notes are heard in Heaven and capable of directing the departed towards the entrance. Providing music to lament the loss of a loved one is a piper's central role. 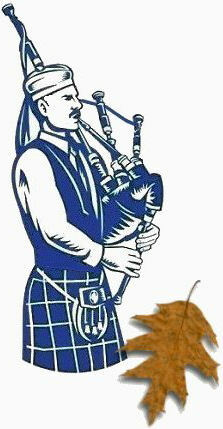 Bagpipes are well renown for having a calming and comforting effect at funeral services. My service area extends throughout the Memphis area and the MidSouth region, providing bagpipes music at funerals, memorial services, and remembrances.